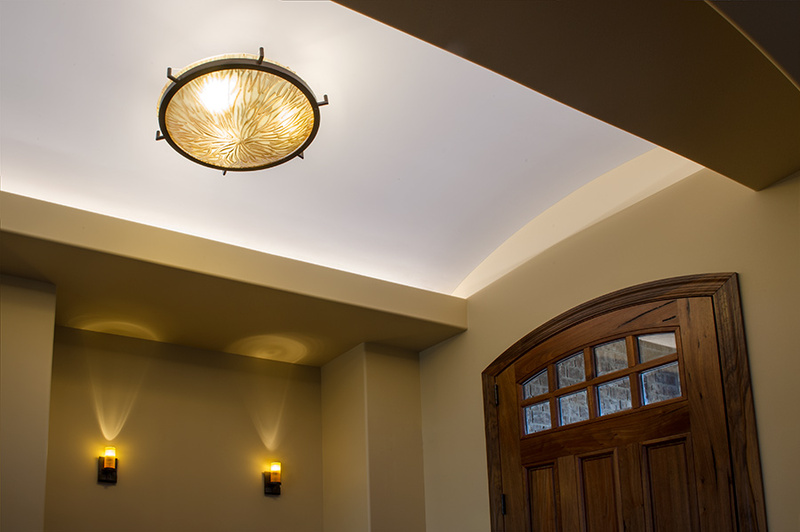 LED Filament Bulb - Gold Tint E14 LED Bulb with 1 Watt Filament LED - Dimmable: Shown Installed In Custom Fixture. 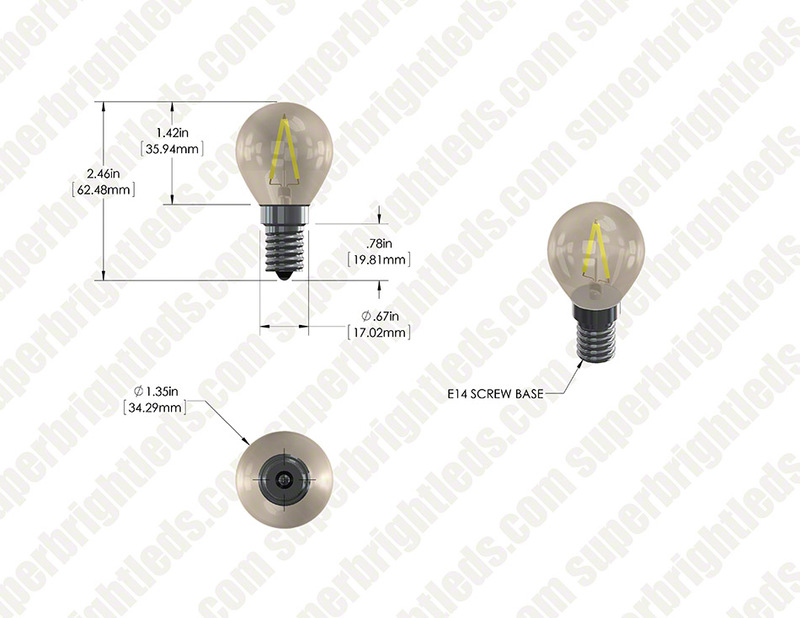 LED Filament Bulb - Gold Tint E14 LED Bulb with 1 Watt Filament LED - Dimmable: Shown Installed In Open Fixture. 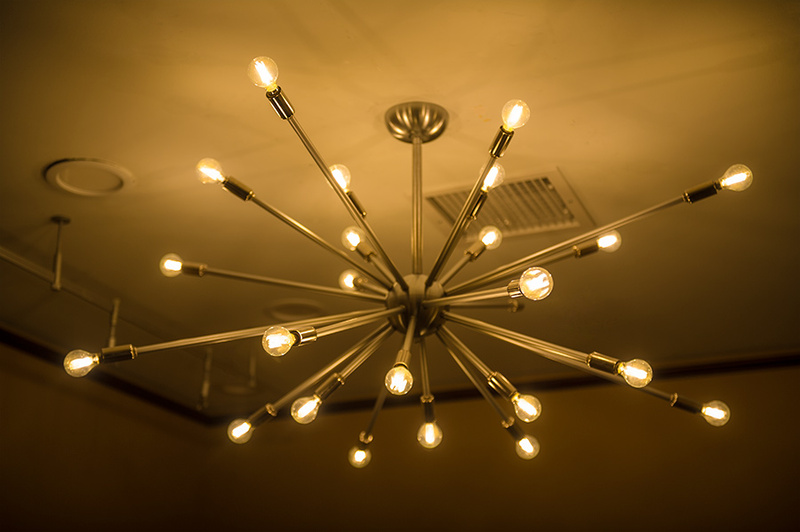 LED Filament Bulb - Gold Tint E14 LED Bulb with 1 Watt Filament LED - Dimmable: Shown Installed In Vintage Chandelier With E14 To E12 Adapters. 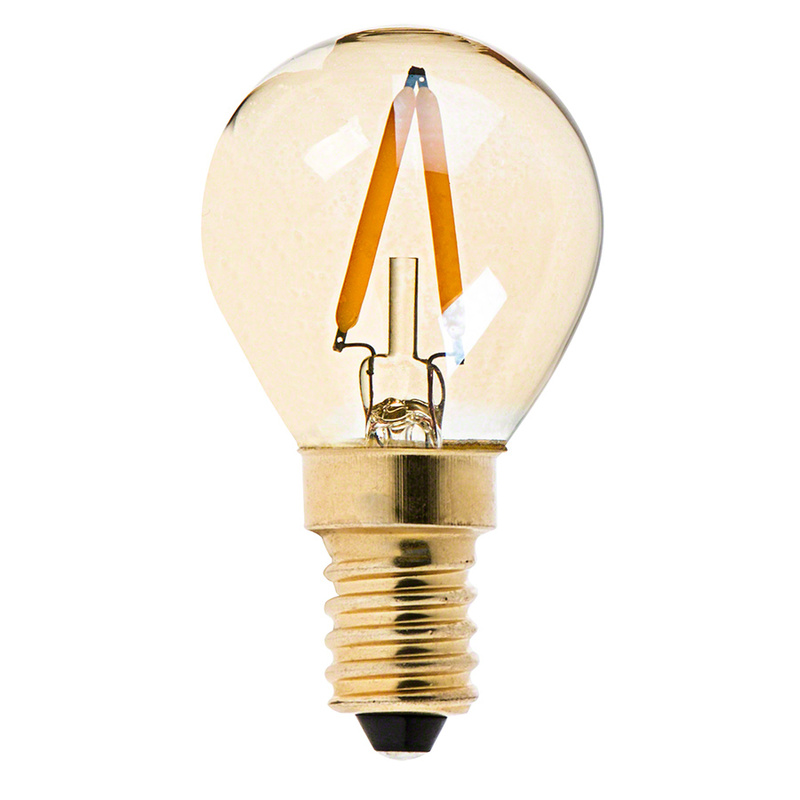 This filament LED bulb is gold tinted to create an elegant atmosphere. 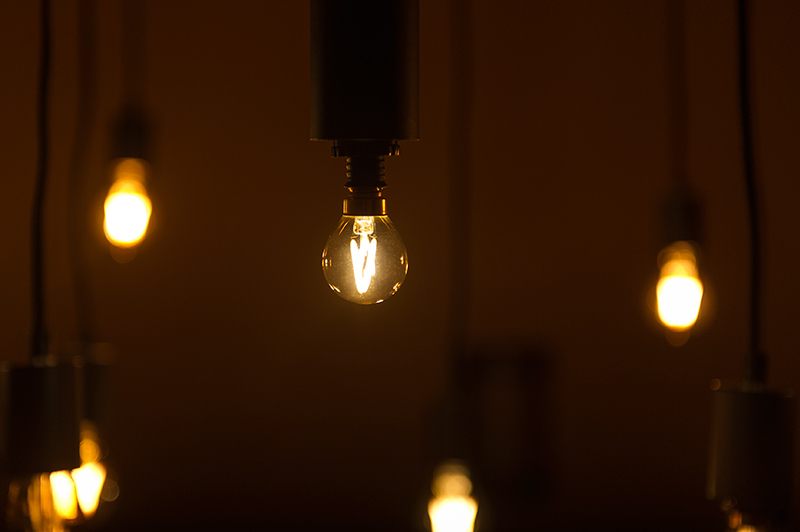 The dimmable S11 LED bulb is perfect for marquee lights, display lights, chandeliers, festival lights, commercial light strings, decorative light strands, outdoor wedding lights, or for any decorative application that accepts S11 bulb shapes and E14 bases. 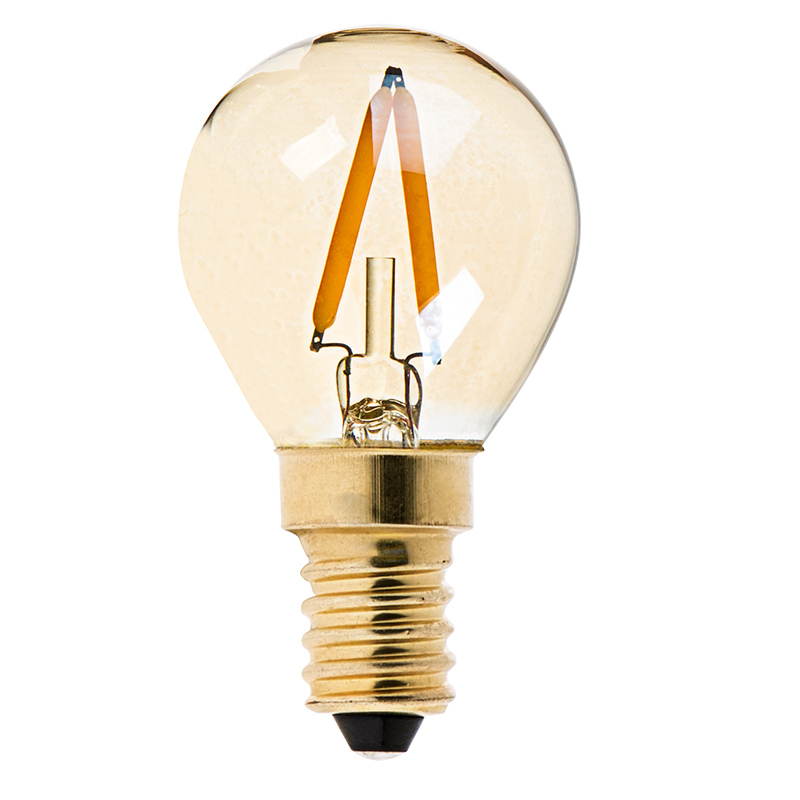 Using COB (chips-on-board) LEDs, the S11 LED bulb emits 95 lumens of warm white illumination, and the linear LEDs imitate the look of thin filament wire in antique-style bulbs. 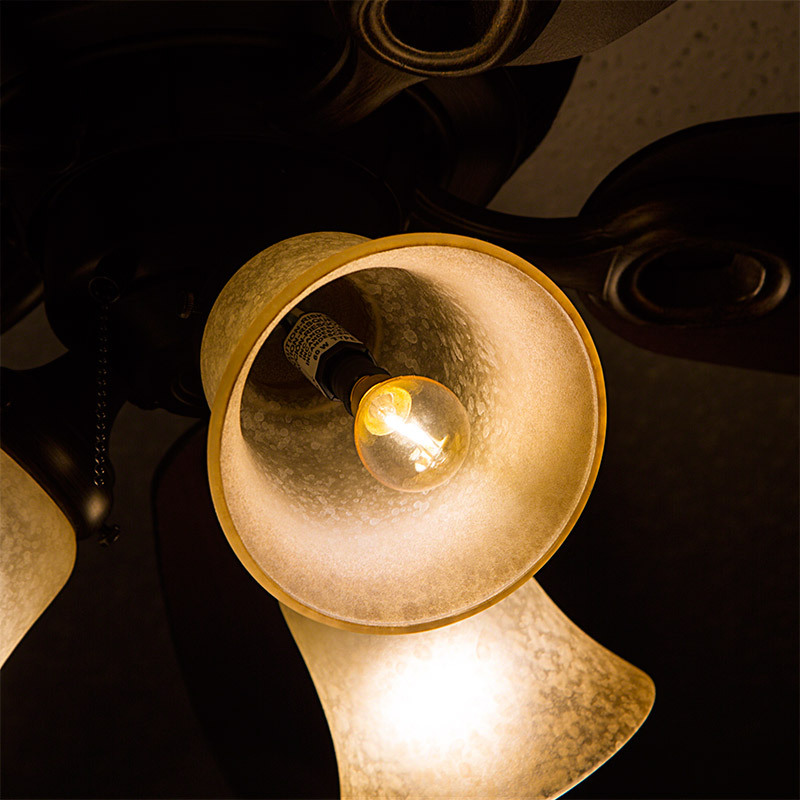 The energy-efficient bulb uses only 2.2 watts of power; an incandescent bulb with comparable light output would consume 10 watts. 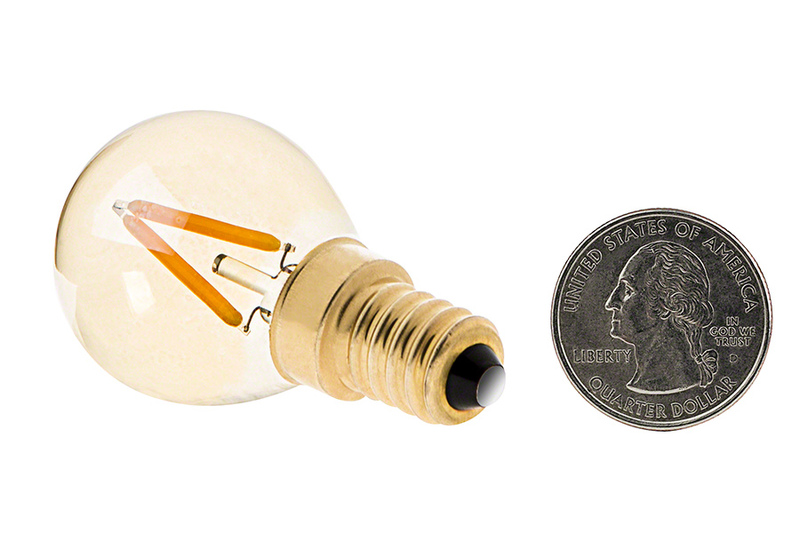 This bulb operates within a wide 110-130 VAC range and is designed to last 30,000 hours—25 times longer than incandescent bulbs. Price per bulb. The light is brighter than the lumen rating suggests and the tint is very faint giving the light very little color. 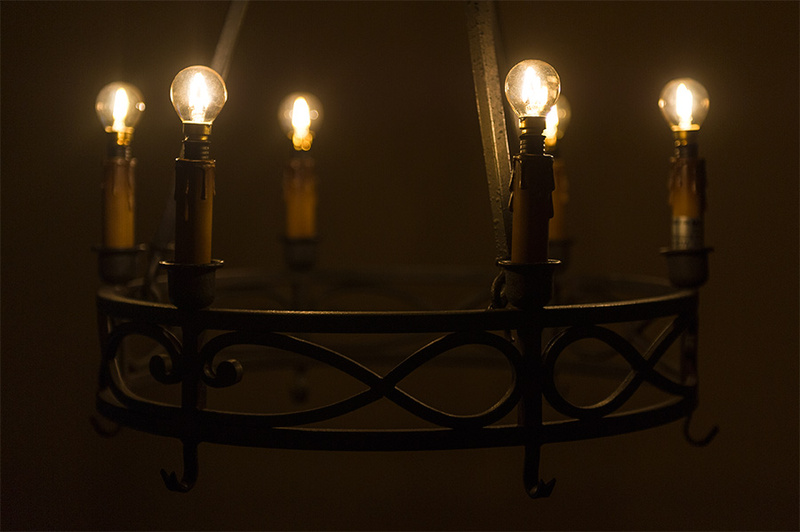 I have bought Feit candelabra bulbs rated higher in lumens that give a warmer, lower light.